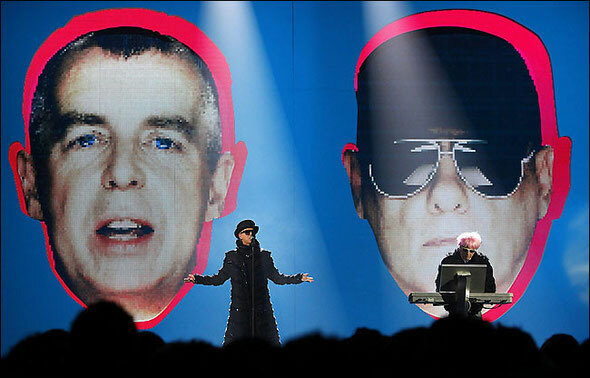 Pet Shop Boys recently returned to the UK from Los Angeles where they recorded their brand new studio album, ‘Elysium’, for release in September. The album was co-produced by Pet Shop Boys with the young American engineer/producer, Andrew Dawson, who has won three Grammy awards for his work on Kanye West’s albums. A single will be released at the beginning of July but right now, to give a taste of the album’s sound, a short film for the album track “Invisible” can be viewed below. The film was made by renowned Los Angeles artist/film-maker Brian Bress. Like several tracks on ‘Elysium’, ‘Invisible’ features backing vocals by veteran singers Oren, Maxine and Julie Waters whose long career spans sessions with The Jackson Five to Adele, and singer/songwriter James Fauntleroy.